Vehicle manufacturers have invested billions of pounds over many years to develop the cleanest cars, vans and trucks in history, with emissions from new vehicles at an all-time low. As a result of this investment, the industry has made significant technological progress in bringing these advanced vehicles to market. Modern vehicles are light years away from the vehicles of the past. Not only are they cleaner than ever before, but they are also the most efficient, meaning motorists benefit from ever-lower fuel bills. In September 2017, a new official EU-wide emissions testing system was introduced for new car models, which includes a new laboratory test and, for the first time in the world, an on-road test. This progress has been achieved alongside significant reductions in carbon dioxide (CO2) emissions, which are linked to climate change. 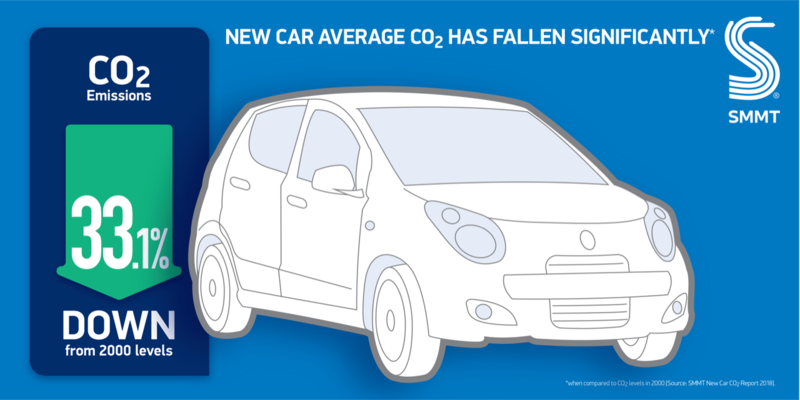 UK Automotive has made impressive strides in cutting the CO2 emissions of new cars, with average levels down a third since 2000.